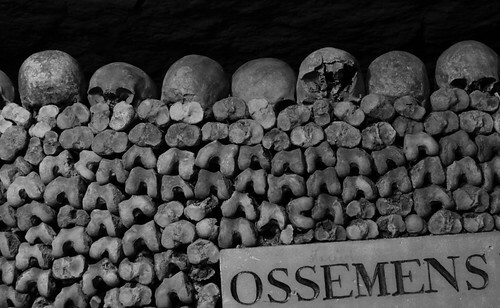 In December 2010, I shot photographs and videos in the Catacombes of Paris. 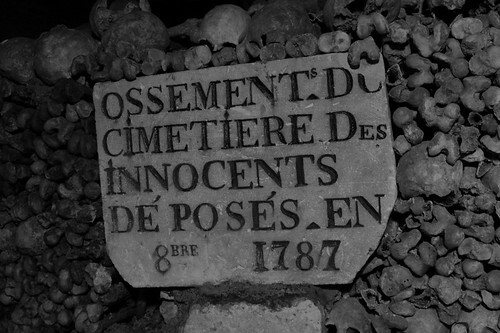 In the late 18th century and early 19th century, bones from the inner city cemeteries in Paris were transfered to disused quarries because overflowing cemeteries caused sanitary problems. 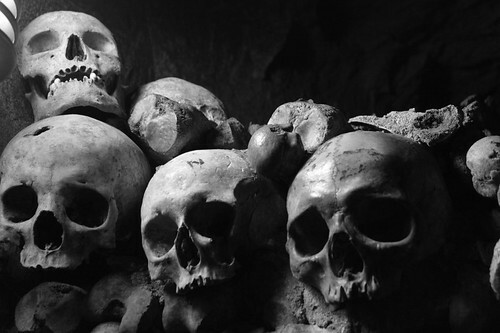 Since then, The Paris catacombes have been a source of inspiration for literature and art. Here are a few preview pictures. 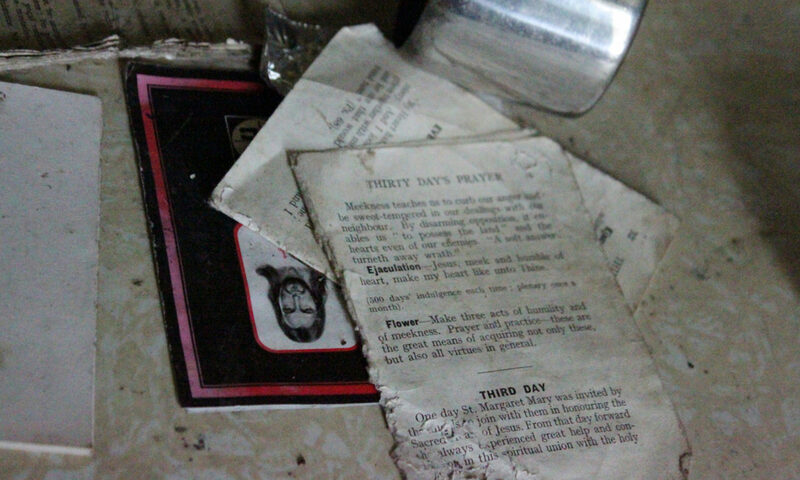 I have not done anything clever with the photographs and video footage yet. Some pictures have annoying shadows because the poor light conditions forced me to use a pocket lamp sometimes, even with very long exposure. 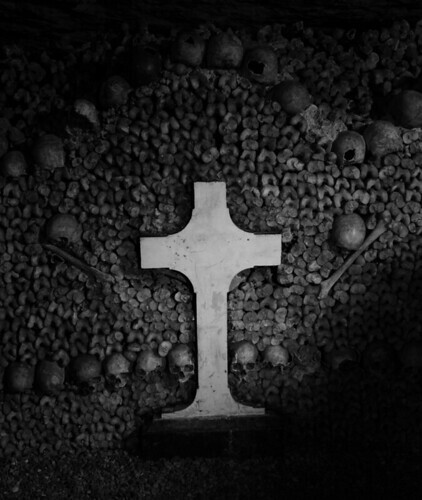 I need to find a way to edit those unwanted shadows out (for example on the picture with the cross), possibly using a light gradient. 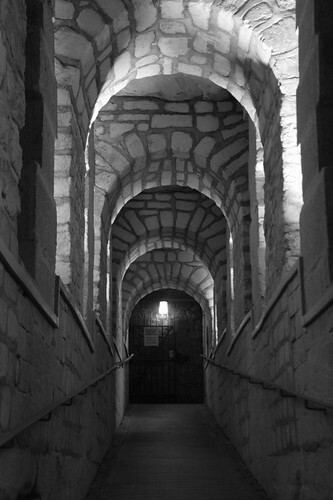 Otherwise I think there is the potential to make some of these black and white pictures very striking by playing with the light and contrast. I am still unsure what to do with the video footage, other than a pure short documentary. Next PostNext ‘Le Jardin aux Jouets’, Raw Art House in Gravelines, 59, France.